Where are you vacationing this summer? Florida, Bahamas, California, Cancun? These are all great destinations that are beautiful and full of adventure. How about a destination that is within driving distance? Bar Harbor is a stunning town located on Maine’s Mount Desert Island which is next to Acadia National Park. This destination has been attracting tourists since the early 19th Century. It offers up historical charm stretched over miles of coastline filled with activities for everyone. This is the largest of all the islands off the coast of Maine. Many rich and famous people over the years have settled here. Over the years many roads, trails and amazing gardens have been created, making this one of the best islands to visit in Acadia National Park. This lovely path was established in 1880 along the shoreline of Bar Harbor. It starts next to Agamond Park at the Town’s Ells Pier and wraps around a point and then continues south along the eastern shoreline of the island. There are many sites to visit along the way that are spectacular. 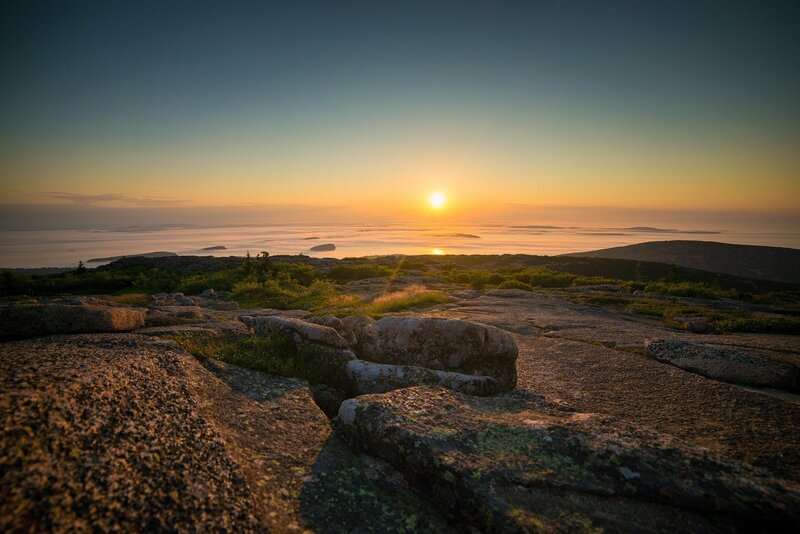 Mount Desert Island and Acadia National Park are best explored on foot or bike where you can. There are many magnificent sounds and sights to see throughout this National Park. Once you get there, you can take the Free Island Explorer Shuttle Bus. You will arrive at the Sand Beach at the beginning of the Ocean Trails. Follow the trail until you come to Thunder Hole. This is a great spot to stop and listen to the waves thunder against the rocks. 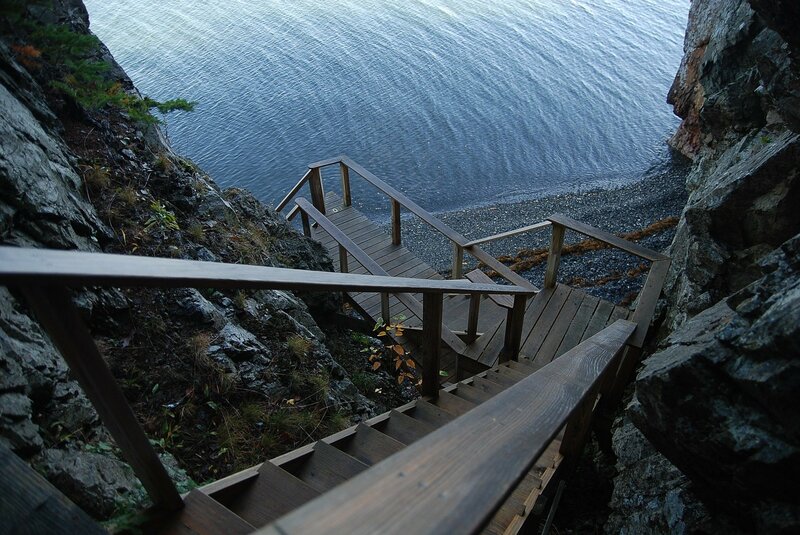 Along this trail, you will find Otter Cliff, which is 110 feet above the water and turns golden with the rising sun. Get your camera’s out and take some stunning photos. This national treasure is part of the Atlantic coast recreation area covering a whopping 47,000 acres of land that features rocky beaches, pristine woodlands and snow-covered granite peaks. 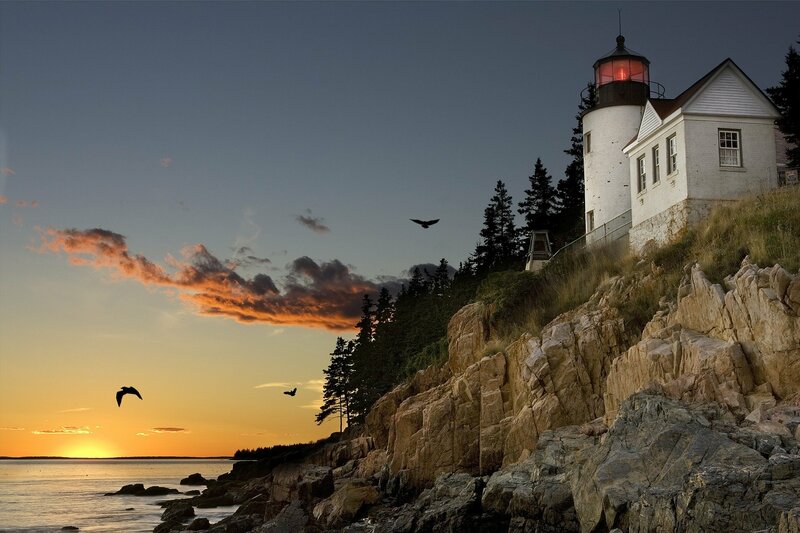 There days worth of natural sights to see in Acadia National Park that keeps the most adventurous persons busy. While you are there, you can enjoy a wide range of activities from hiking, climbing, mountain biking, horseback riding and bird watching. 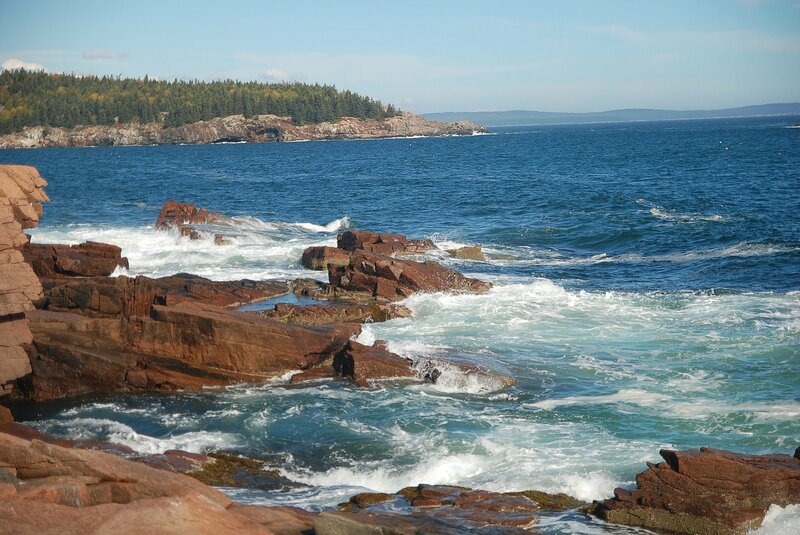 If nature is not your thing, then you should visit the town of Bar Harbor. This small seaside resort town is the gateway to the park and offers many various shops, restaurants and has a wonderful modern visitors center to inform you of things to do.